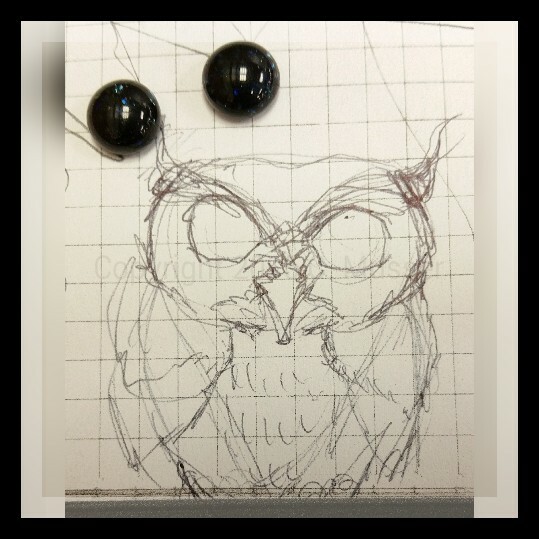 Today, I begin work on a starry eyed owl using fused glass cabochons I made earlier this week (Eye cabochon I used for this project can be found on Etsy at GlassEyeSupply. https://www.etsy.com/listing/239300242/b005-sparkling-moonlight-sparkling-deep). Not sure of the colors for the wool yet, maybe grays?